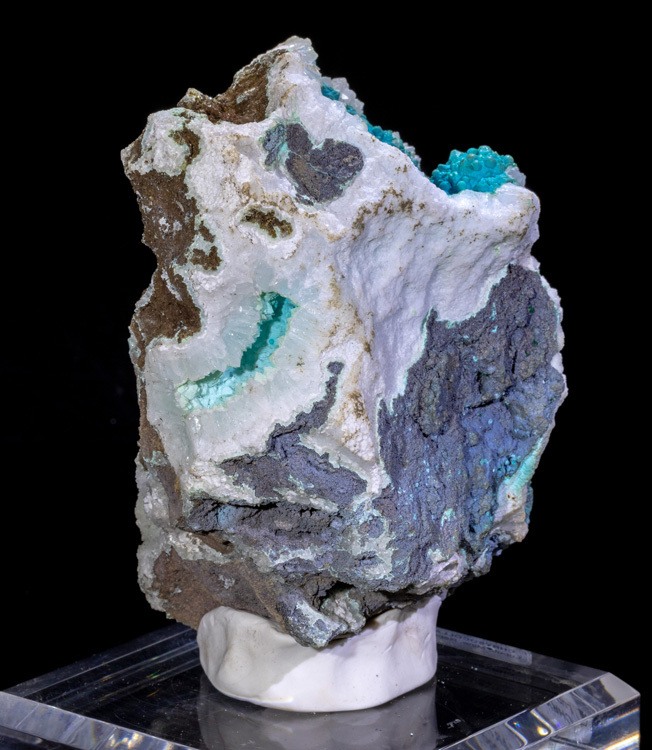 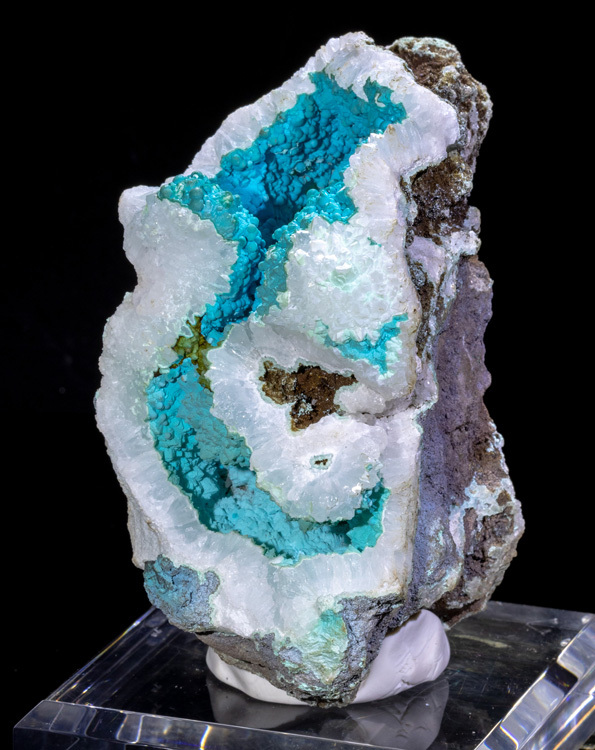 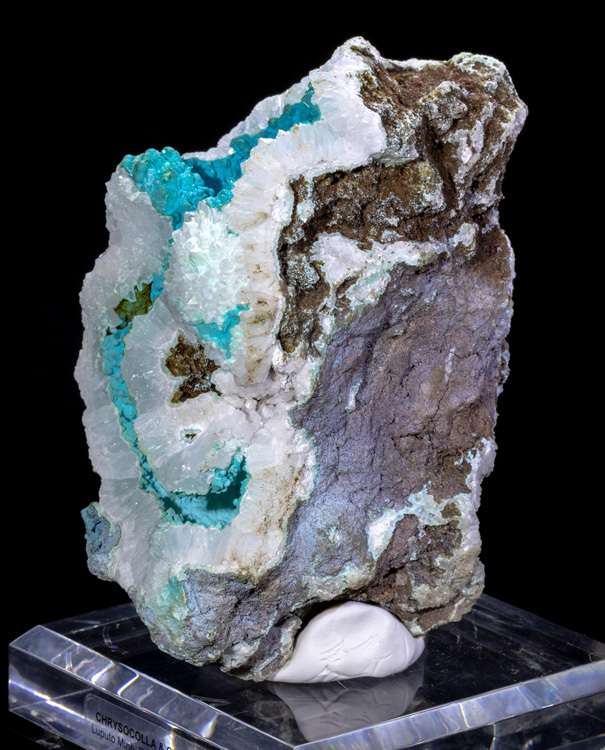 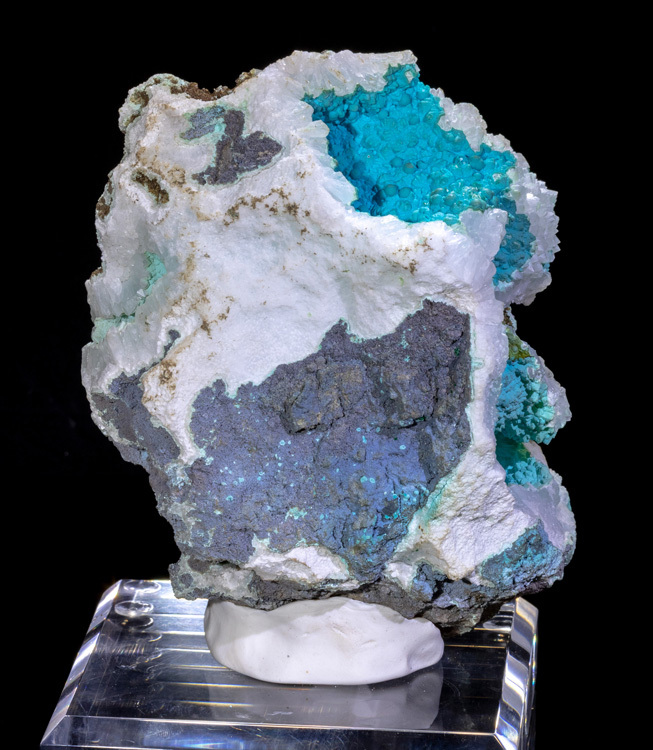 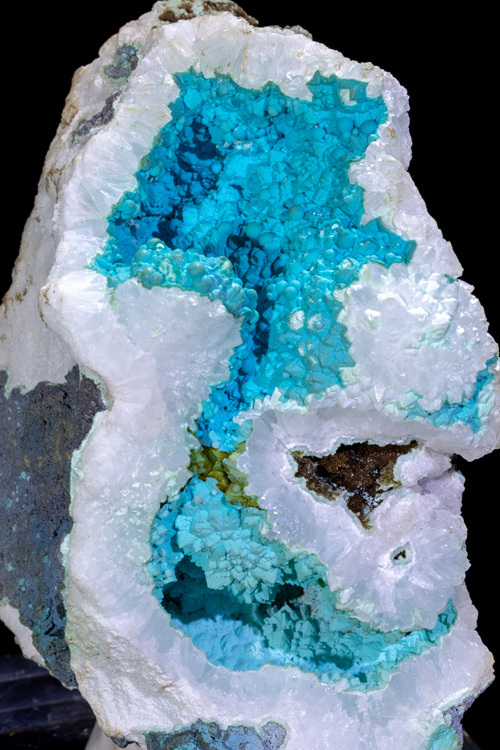 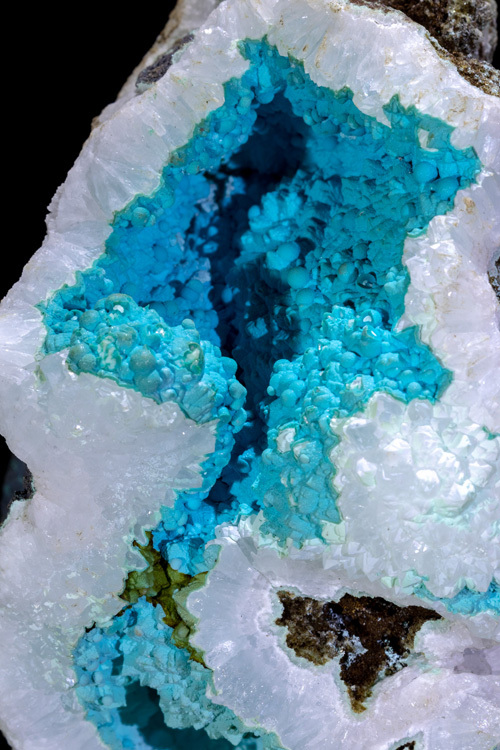 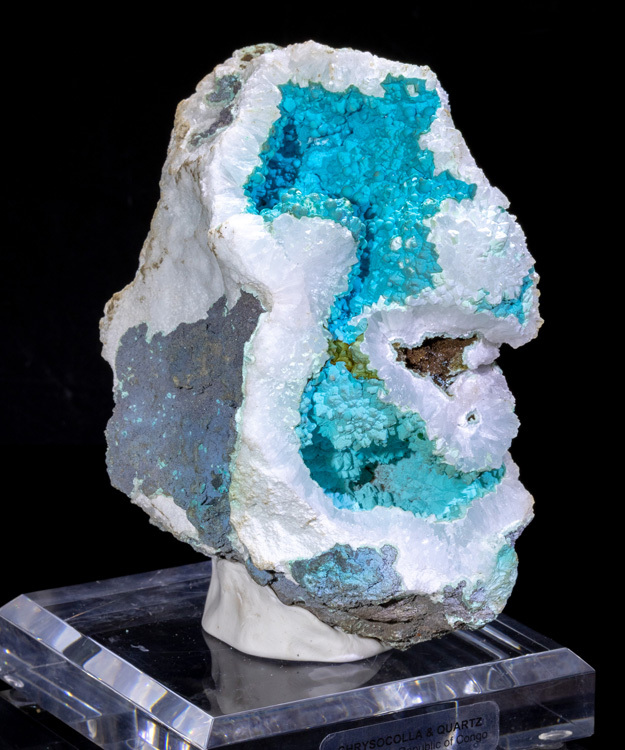 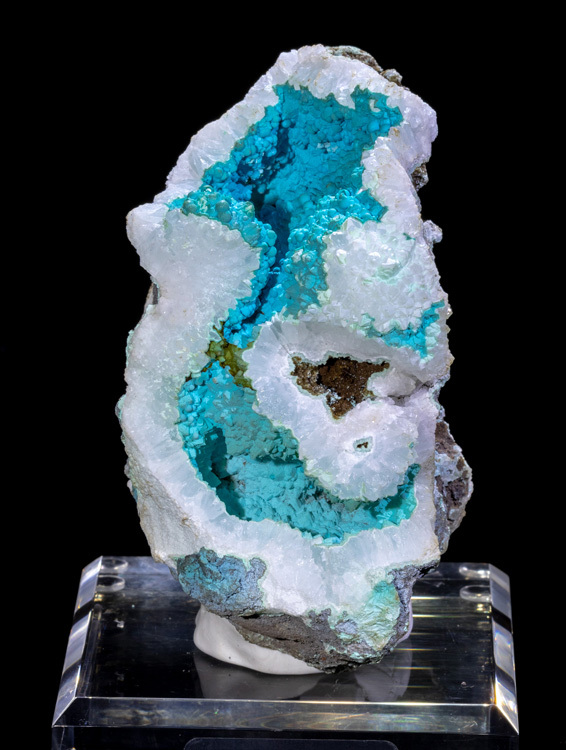 An absolutely gorgeous specimen with contrasting white quartz and neon-blue chrysocolla! 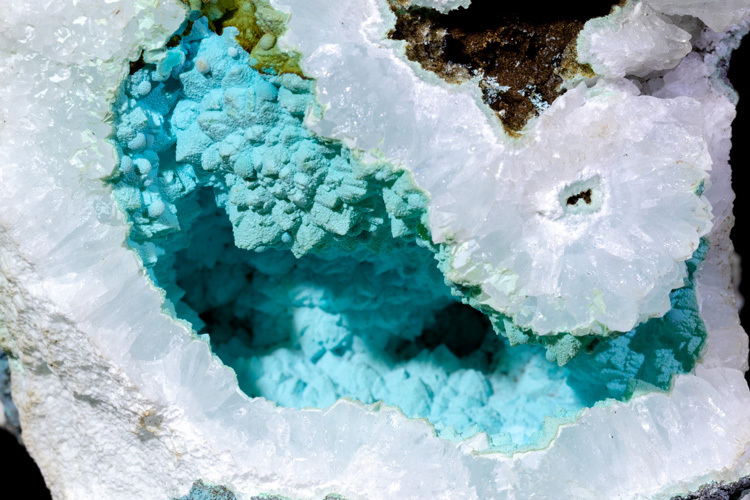 The white quartz outlines the blue chrysocolla in a very aesthetic and eye-catching way. 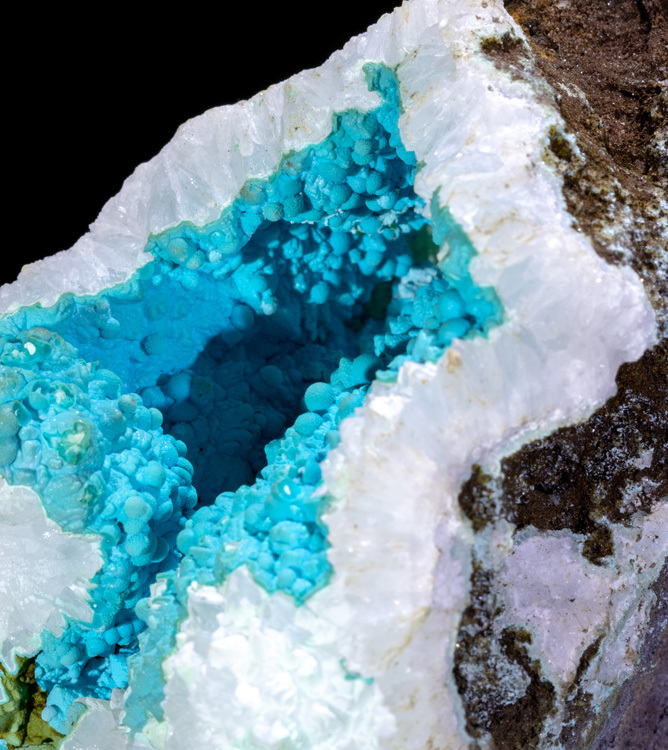 This is a specimen that pops out at you! 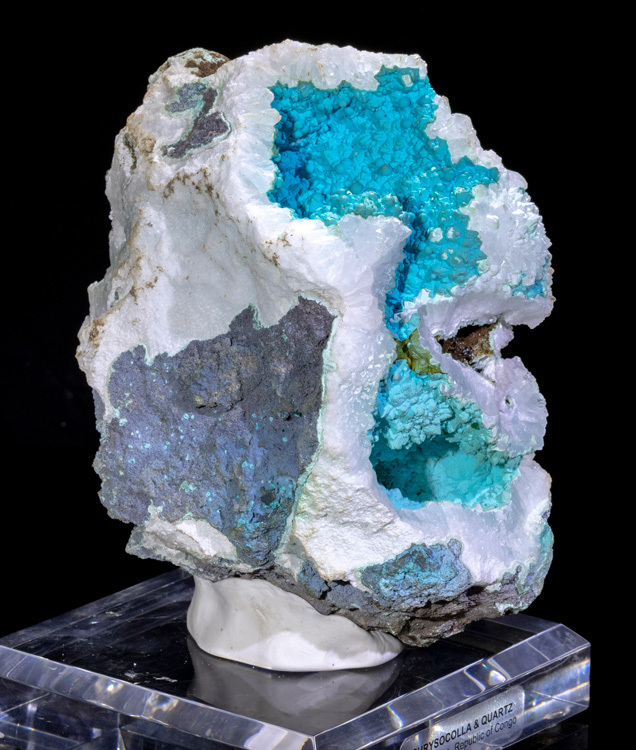 Even better in person because the camera doesn't really capture all of the detail of the botryoidal chrysocolla crystals inside of this geode.